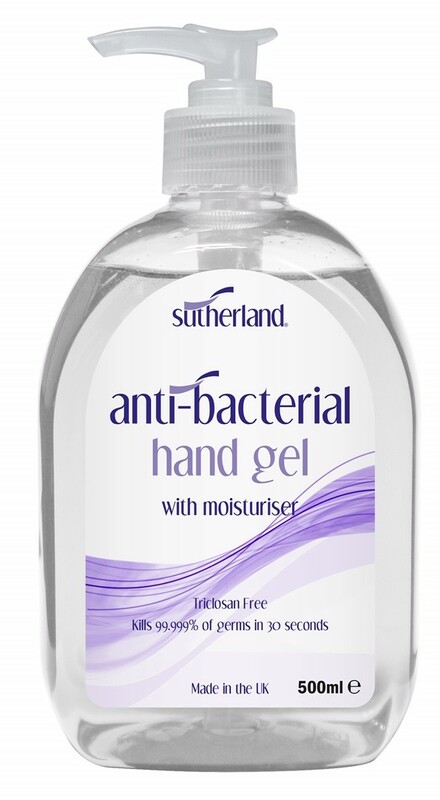 Sutherland Anti-Bacterial Hand Gel is a general purpose, un-perfumed anti-bacterial hand gel, with moisturiser, that kills 99.999% of germs in 30 seconds without the need for water. Triclosan free. Effective against Listeria, E-Coli, Salmonella and MRSA. Manufactured in the UK by Sutherland Health who have over 25 years experience in supplying the NHS and medical markets.